a chess program running on an IBM 370/168  under the MVS operating system, developed by three graduate students at the Duke University in the 70s, Eric Jensen, Tom Truscott and Bruce Wright, written in PL/I and Assembly . Duchess was one of the strongest programs of its time. In 1977, it was runner up at the Second World Computer Chess Championship in Toronto, behind Chess 4.6 winning from Kaissa , and tied first with Chess 4.6 at the Eighth North American Computer-Chess Championship, runner up due to tie breaking points. Duchess won the Jerusalem CC Tournament 1978 due it's victory versus Chess 4.6. At the Third World Computer Chess Championship in Linz 1980, Duchess became third only losing from Belle. 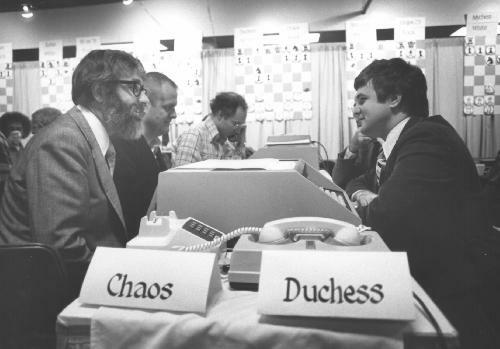 Duchess played seven ACM North American Computer Chess Championships from 1974 to 1981. Duchess is written in IBM 370 assembly language , applied iterative deepening, and searched about 200,000 nodes per three minute move. A book of 3,000 positions helped with the openings  . He (Truscott) and Wright created their program for an IBM System 370 Model 165  MVT/TSO mainframe computer system at Duke. It had three megabytes of main memory, which Truscott notes was later upgraded to "4 megabytes for a mere $100,000." That was, according to Truscott, "Pretty much the top of the line at the time. We did our development in batch mode," he remembers, "The source code was on punched cards and the compiled code was stored on disk." 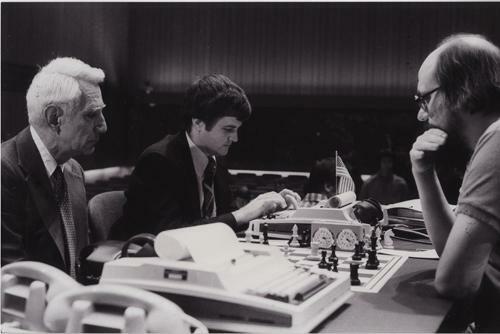 And in tournaments, he and Wright used the IBM time-sharing mode TSO. The first computer chess tournament Truscott and Wright competed in was the North American Chess Championships held at the ACM Annual Conference in San Diego, California in November 1974. By then, Truscott was in his senior year at Duke. He and Wright named their chess program Duchess. ↑ The zip file contains an AWS tape image of the Duchess distribution tape kindly supplied by Eric Jensen of Jensen Research Corporation, and a job stream for installing Duchess on MVS 3.8.